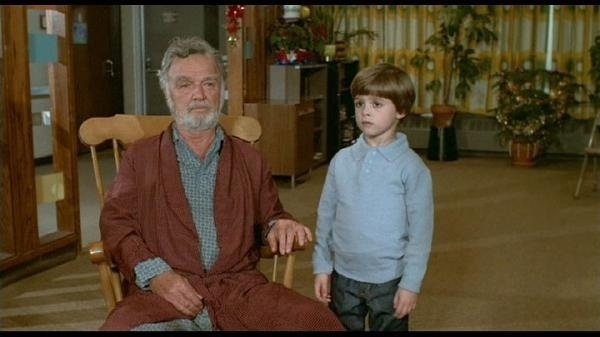 Released in 1984 Silent Night, Deadly Night is perhaps the most controversial horror movies of the 80s and perhaps one of the most of all time, which I’ll get into a little bit later. 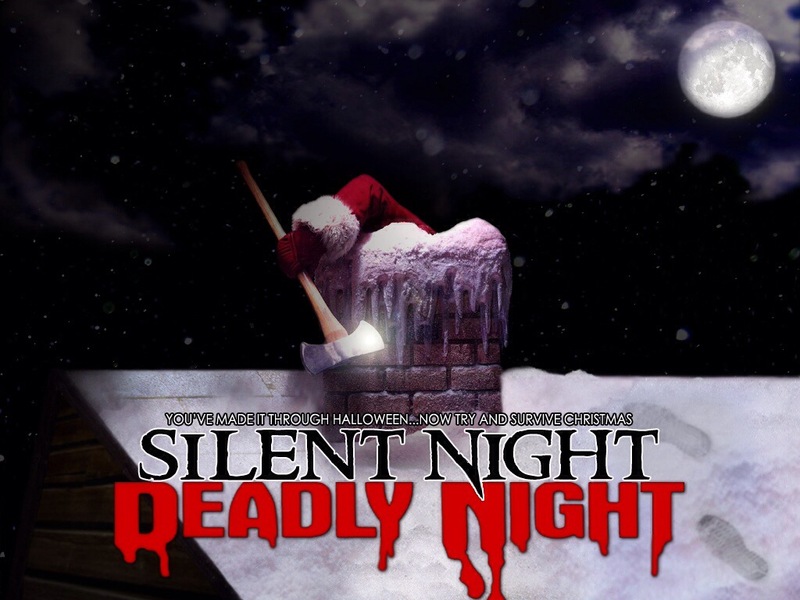 Silent Night, Deadly Night is one of the more interesting slasher films of the 80s since the first half of the film is quite different than most, but the 2nd half becomes the standard stalk and slash film and many people have compared Rob Zombie’s 2007 remake of Halloween to Silent Night, Deadly Night in terms of the backstory created for both villains. Speaking of Halloween the original 1978 classic while not the first slasher film was the first to become a major box office success and by 1980 we saw a slew of these kinda films released and after the success of Friday the 13th the slasher film was even more popular. 1981 in my opinion as a whole was the best year for the slasher film and while what followed were still some entertaining films things were getting stale since the slasher film has a very simple formula. By 1984 we were seeing a bit of a decline, but there was still some life left and if things were getting stale by 1984 the rest of the 80s the slasher film was now a bit tired though there were still a lot of fun ones, but it seems there were a few more subpar ones that in the early to mid-80s. Silent Night, Deadly Night isn’t exactly filmmaking at its very finest, but its a fun film that with the right people involved could have been perhaps one of the greats, but with that said we still get a highly entertaining film and while it doesn’t reinvent the slasher film it does at least try and offer something a little different in the first half of the film. I’m not sure where I’d rate this in regards to 80s slasher films, but it is one of my favorites and elevated for me due to the mean spirit approach. What I liked about Silent Night, Deadly Night is that it attempts at being more than your average slasher flick and has a lot of thriller aspects early in the film showing the breakdown of Billy over the course of the first half of the movie. As a young child Billy witnessed the brutal murder of his mother and father by a man dressed as Santa Claus and was sent off to an orphanage run by nuns and while there Billy gets a lot of psychical and mental abuse from Mother Superior (Lilyan Chauvin). One thing made clear is Billy isn’t a bad kid, but a troubled kid due to what he had seen and he never got the help that he very much needed and then at 18-years old he’s thrown into the real world, which he deals with well until Christmas time that is and the final straw was when he has to dress as Santa Claus at the department store he works at. This is the type of movie where your villain is very much a victim as well and in many ways is quite sympathetic. 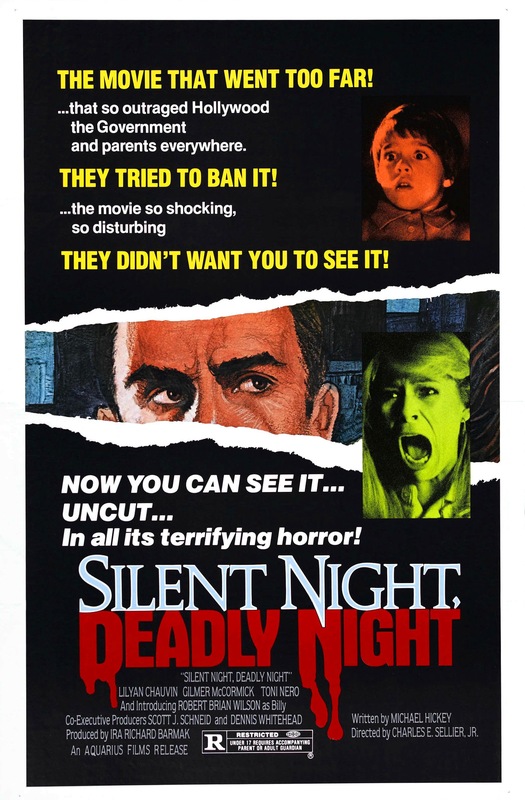 Silent Night, Deadly Night has a little more going for it than most slasher films at least again in the first half. Many critics of the slasher film complained that these movies were made for the audience to root for the killer and I actually disagree with that. I think the main reason the audience might root for the killer is due to weak characters, but that’s a problem with the writing. But if you have a solid character and at least a decent enough actor or actress odds are the viewer will root for that person to survive and characters such as Dr. Loomis and Laurie Strode come to mind. However there are slasher films where the audience is meant to root for the killer and the Sleepaway Camp films come to mind, but in the case of 2 & 3 they aren’t meant to be taken serious at all. But I do think the complaints from critics are off base for the most part. But with Silent Night, Deadly Night it might be true well sort of; I don’t think Billy was meant to be rooted for, but the viewer will have more sympathy for him, rather than the victims. The movie is about Billy and and his victims play a small role and therefore anytime the focus is on the villain in horror movies people will say the movies makes you root for the killer and sure the victims aren’t very well developed and in some cases not very likable, but I still disagree with the critics on this one and I don’t think the viewer was meant to root for Billy, but were meant to feel some sympathy and despite what he does it’s almost as if he was left no choice in a way; he wasn’t given the chance at a normal life and as much as I liked the movie maybe better filmmakers would have gotten that point across a little more. The screenplay by Michael Hickey is quite interesting and a bit different than most slasher films at the time. There are a lot of excellent ideas presented as the first half deals with Billy’s psyche after the murder of his parents. Like I said before Billy isn’t evil, but he’s been deeply scarred and with the proper help could have turned out fine and I like the idea of someone good descending into madness. 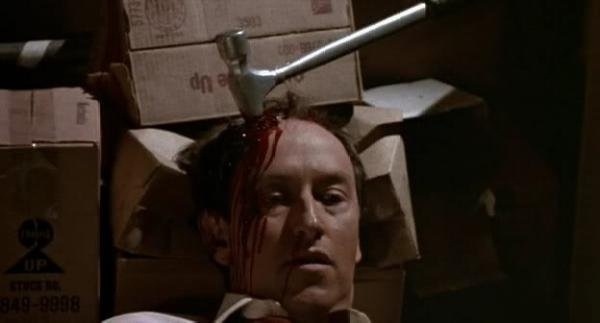 Michael Hickey does a fairly good job with the backstory and perhaps a better writer could have taken this idea a little further, but as it stands the first half of Silent Night, Deadly Night is a bit better than most slasher films of the era. Even though I found the first half of the screenplay to be strong it’s not without some silly dialogue; the potential the script had was a lot more than it turned out. But again in terms of slasher films, Hickey does craft an interesting screenplay early on. The 2nd half the script becomes the typical slasher fare and the writing now is slasher 101. It is a little disappointing seeing the 2nd half become the standard slasher film and it also gets a little silly in spots as every time Billy kills someone he says naughty or punish and its kinda hard to take these scenes too seriously even if they are played straight. In many ways Silent Night, Deadly Night is a tale of two screenplays and while I liked the film a lot and again liked how the first half does something a little different and while Michael Hickey writes a good script early on, with a better writer it could have been a lot deeper and powerful, but as it stands it’s still solid. The 2nd half again is slasher 101 and while the script remains fun it is a notch below the first half. Director Charles E. Sellier crafts a well paced film with some decent suspense. Sellier does his best work in the first half of the film, but like how a better writer could have gotten more out of the backstory the same can be said about the direction, but Sellier still handles these scenes well and it is the strongest parts of the film. The 2nd half is very much slasher films 101 and while not overly suspenseful it works thanks to an eerie tone due to the Salt Lake City setting and the mean spirit approach taken by Sellier. SNDN features a deaf priest mistaken for Billy gunned down in front of a few kids and than later Billy getting killed right in front of children. Linnea Quigley appears in a brief part and her death scene also has a bit of nastiness to it. Overall again I feel despite the flaws this was one of the stronger slasher films of the 80s and while this isn’t exaxctly filmmaking at its very finest, Charles Sellier directs a film that turns out better than perhaps it should have been. The performances were mostly strong for a film of this type and while Robert Brian Wilson as Billy might be a little stiff in his dialogue delivery he gives a strong performance as a whole and is very sympathetic despite his actions. Gilmer McCormick is solid in her role trying to help Billy and later trying to find him to stop him before he hurts anyone else or gets killed himself. But it’s Lilyan Chauvin as Mother Superior who steals the show; she’s really cold and mean and she really does an amazing job with the character. These kinda movies aren’t always known for their acting, but Lilyan’s performance brings a touch of class to the movie. 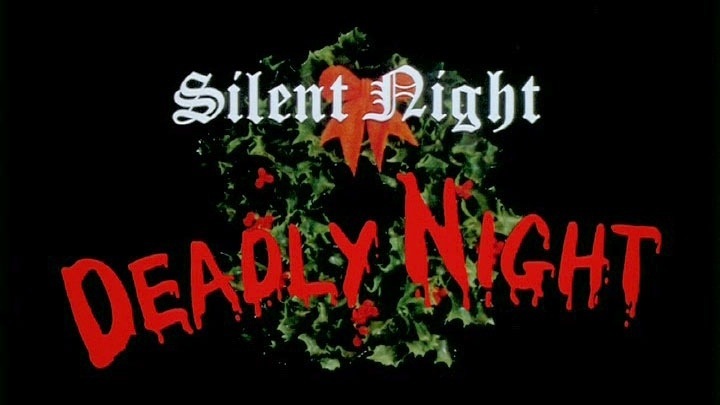 When Silent Night, Deadly Night was released it created a major controversy due to a killer dressed as Santa Claus, which had people protesting and demanding the movie be banned and the critics were extremely harsh on this flick in particular Siskel and Ebert, but most negative reviews seemed based off the concept and not the actual movie. I’m sure the filmmakers from the writer to the director to the producers and all the way to the studio were fully aware at what they were doing and in this case it backfired. 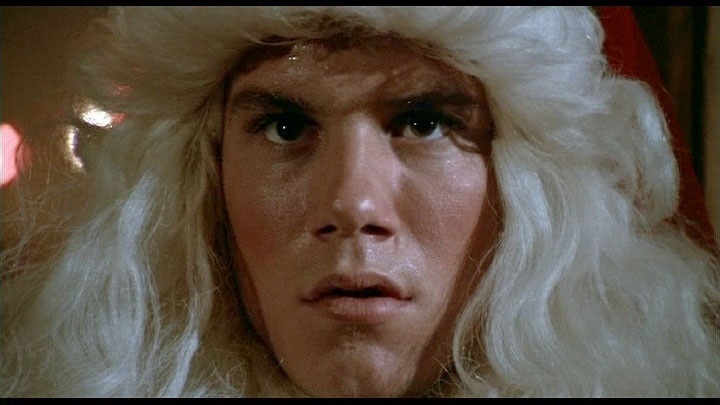 The saying there’s no such thing as bad press was proven wrong with Silent Night, Deadly Night. However when it comes to people protesting its just silly. If you don’t want your children seeing this film than don’t let them simple as that. I first saw this when I was a pre-teen and it didn’t scar me though by that time I also didn’t believe in Santa Claus anymore, but not the point. The one thing clear is the parents protesting never saw this film, which would have probably had them going crazier if they did since the film is a bit mean spirited. 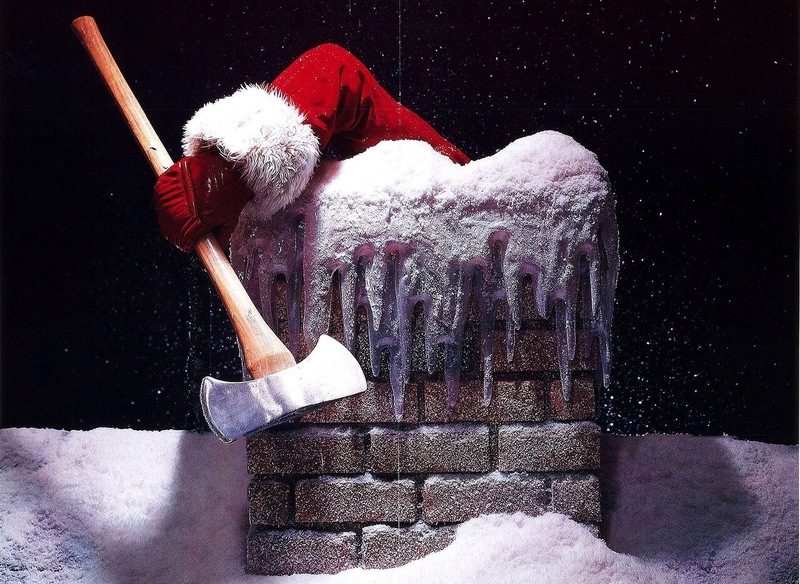 Oddly enough this isn’t even the first film with a killer Santa. 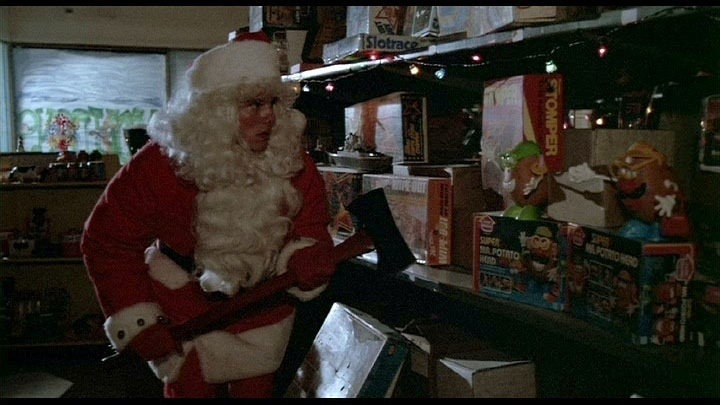 We saw this in the film version of Tales from the Crypt (the story would later be adapted for the TV show in 1989) and in 1980 cult actor David Hess made his directorial debut (and only directing credit) with To All a Goodnight, which featured a killer dressed as Santa. Silent Night was actually released the same day as A Nightmare on Elm Street and believe it or not out-grossed Elm St. in it’s opening weekend (not by a whole lot, but not the point). Due to the controversy Silent Night, Deadly Night would falter in its 2nd week and than it was pulled from theaters (though it still turned a profit) and would later find an audience on VHS and than again on DVD. I often wonder if there wasn’t any controversy how would the series have gone and the same for Elm Street? Odds are Elm Street would still have had a sequel, but would it have come out the following year? If not does that change the direction the series went? And who knows maybe Elm Street doesn’t pull enough in for New Line to give a green-light for a sequel. 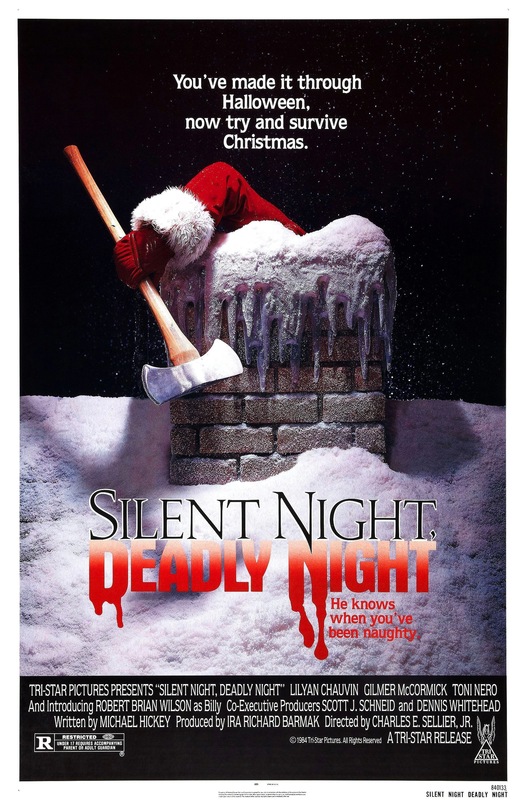 And how about Silent Night, Deadly Night, which did become a franchise, but would they have turned out differently? We’ll never know the answers to these questions, but it is an interesting thing to think about. Like I mentioned earlier many people have compared Rob Zombie’s Halloween to Silent Night, Deadly Night and the comparison is fair since they share the same basic ideas as they both focus on the breakdown of their villain starting in childhood, but the differences are Michael was clearly a disturbed boy who was bound to snap sooner or later whereas Billy was a good kid who was handed a low blow in life and had he gotten the proper help could have turned out fine, but the basic ideas between the two films are alike. Overall Silent Night, Deadly Night is a solid slasher film that is a bit deeper than most and while the 2nd half does have its flaws in the sense it’s the typical stalk and slash movie it still remains better than most. While I wouldn’t say this was the best slasher film of the 80s I would rate it as one of them though.